Antitrust regulators on Monday cleared a mega-merger that will create the country's second-largest cable company. The Department of Justice and the chairman of the Federal Communications Commission approved Charter Communications (CHTR)' $78 billion takeover of Time Warner Cable (TWC) and its $10.4 billion purchase of Bright House Networks. The government agencies attached several conditions to the approval. The full FCC still needs to vote to accept chairman Tom Wheeler's recommendation, but the vote is believed to be a formality in this case. Once the deal is complete, Charter will stand next to Comcast, AT&T, and Verizon as a media giant shaping the future of television-watching and web-surfing. 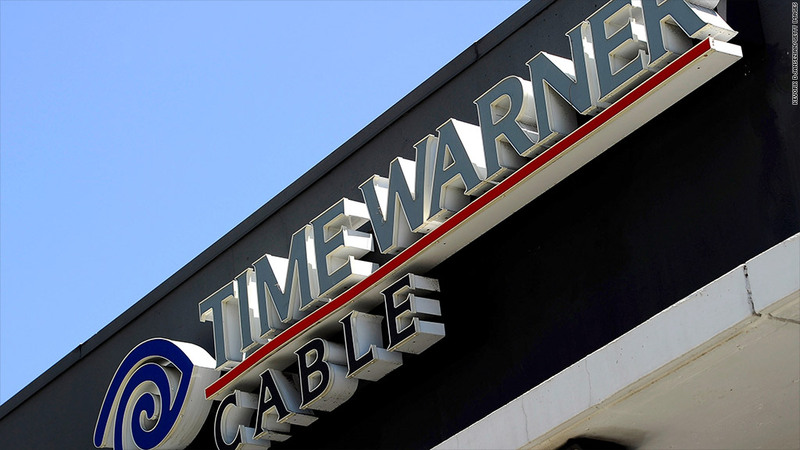 "We are pleased to reach this critical step in the regulatory review of our merger with Charter," Time Warner Cable CEO Rob Marcus said, "and remain optimistic that the transaction will be finalized soon." The purchase was proposed almost a year ago, after Comcast's bid to combine with Time Warner Cable fell apart amid stiff opposition from Washington. The same regulators were more supportive of Charter's bid for Time Warner Cable -- but with important caveats. Charter will be prohibited from putting data caps in place or charging customers based on usage, the two agencies said in a statement on Monday. Additionally, the company won't be allowed to charge internet content providers fees for connecting them to customers. The conditions will apply for seven years to "focus on removing unfair barriers to video competition," the statement said. Tom Rutledge, Charter's CEO, will run the enlarged company. He initially hoped the deal would be approved by the end of 2015, but the process has taken a long time. Now Charter is eyeing a mid- to late-May completion date. Along with the FCC vote, the company still needs approval from the California's Public Utilities Commission. A vote is scheduled for May 12. "We are pleased that Chairman Wheeler has submitted the proposed conditions for consideration by the full Commission and that the DOJ has submitted its agreement for approval by the court," Rutledge said in a statement. "The conditions that will be imposed ensure Charter's current consumer-friendly and pro-broadband businesses practices will be maintained by New Charter," he said. The deal will affect one in six American households. Charter is expected to retire, or at least downplay, the Time Warner and Bright House brand names. Charter already promotes its products with the brand name Spectrum, and it will be extending that name to its new markets.